Most news about the poaching of wildlife concerns charismatic mammals like tigers and rhinos, but lately there has been a mysterious spurt of smuggling of Red Panda hide within Nepal. Last month alone, three men were arrested with pelts of Red Panda in Jorpati, and acting on a tipoff the Central Investigation Bureau (CIB) caught a 20 year-old Solu Khumbu boy with another Red Panda skin in Kapan. In the last four months there have been three raids all yielding pelts of the endangered Himalayan squirrel which fetch a high price in Nepal. There were 13 seizures of dead Red Panda in 2015/16 in Kathmandu, Rasuwa, Sindhupalchok, Birtamod. 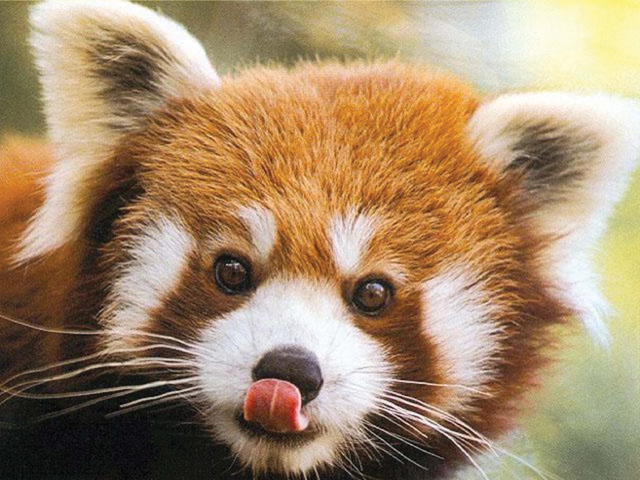 Red Pandas now top the list of contraband wildlife that also includes pangolins, leopards, tigers, rhinos and deer. “While the government has been focusing on large animals like tigers and rhinos, traders have diverted their attention to smaller ones like Red Panda,” said Damber Bista of Red Panda Network, which works to control poaching and conserve the animal’s habitat in Nepal, India, Burma and China. Habitat destruction has caused the population of the shy animals in Nepal to dwindle to less than 1,000. The new threat of poaching puts the endangered mammal at high risk. The animal that lives on tree canopies in forests above 3,000m has been listed under Appendix I of CITES, the Vulnerable Category in the IUCN Red List and is also a protected mammal by the National Park and Wildlife Conservation Act 1973 of Nepal. Officials are puzzled by the recent surge in Red Panda smuggling, but the CIB’s Prabin Pokharel says it is due to “negative awareness” among locals about the value of the pelt, and he dismisses links to larger international networks. Bista, for his part, thinks Red Panda fur and skin are made into hats that are gifted to newly weds in the Yunnan and Sichuan provinces of China. In Nepal, some ethnic groups have traditionally used them for cultural and religious purposes. Conservation Officer Bhumi Raj Upadhyay formerly stationed in Rasuwa is convinced that Red Panda hides are being smuggled into China. Now Warden at the Api Nampa Conservation Area in Darchula of far-western Nepal, Upadhyay says the preferred smuggling route for wildlife contraband from India to China is through Tinker in Nepal to Taklakot in Tibet. “I don’t have the exact specifics but the tigers we seize could be from either Nepal or India,” Upadhyay told us. In the eastern Tarai district of Jhapa, too, District Forest Officer Bodh Raj Subedi says some of the Red Panda hides seized could be from Darjeeling. “We don’t yet have DNA analysis to determine where the skins originate,” Subedi said, adding that in the six months he has been posted in Jhapa deer skin and pangolin scales from India have been seized. Jhapa and Darchula have been identified as hot spots for illegal wildlife trade transit points in Nepal along with Pokhara (see story, right), Kathmandu, Humla, Dolpa, Mahendrangar, Dhangadi and Nepalganj. 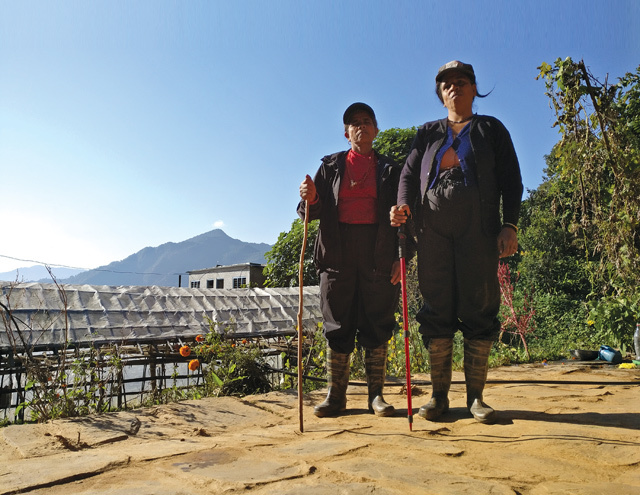 Every month, Parvati Poudel and Bishnu Maya Poudel (pictured, left) get dressed in matching black waterproof jackets and gumboots and set out to patrol the Bhakarjung community forest in Dhikur Pokhari, an hour’s drive from Pokhara. The two women are joined by seven others and, armed with sickles and wooden sticks, inspect the forests for wildlife traps set by poachers, and try to track poachers. “We are ready to go anytime if there is a need. We have grown up with the forest and protecting it is our duty,” said Parvati Poudel, 60. Over the last three years, rampant poaching of kalij pheasants and barking deer for the illegal meat market in the city have all but stopped. “Before we used to see flash lights in the middle of the night and even hear gun shots, but not anymore,” said 55-year-old Bishnu Poudel. With active participation of village elders, and supported by the Hariyo Ban initiative, the village has become a successful model for home-grown anti-poaching activities. “The young people have either migrated for work or are busy with their studies so it is up to us older folk to preserve nature for our children,” said the leader of the anti-poaching unit, Durga Prasad Poudel. Pokhara is emerging as an important city for the trans-shipment of wildlife contraband to international destinations and ironically, it is the result of the successful spread of community forestry in Central Nepal. In the last four months alone, police have recovered endangered animals in 16 raids ranging from common and clouded leopards, deer, fox, and Eurasian Eagle Owls. Suspects are all locals who have caught the animals for meat or to sell body parts. Earlier this year, villagers in Hansapur had found a dead leopard (pictured, above) hanging by a motorcycle chain. In another instance, a deer with a bullet wound was found in Chhauthe. The culprits in both cases could not be traced. 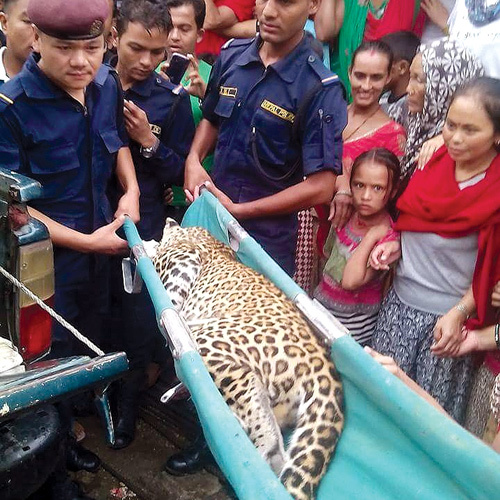 “It is mostly locals involved in the illegal wildlife trade, there have been no reports of outsiders being involved,” said Bishwa Raj Poudel of Kaski’s District Forest Office. One of the wildlife traders apprehended while trying to smuggle musk deer is Chandra Bahadur Rawat, who is from Jumla but had made Pokhara his base to source wildlife from Syangja, Baglung and Myagdi. He is now out on bail. “They can pay a security deposit and easily get out of jail and because of that their confidence has been boosted,” said Forest Warden Ram Chandra Dhungana. Time for the Valleys acronymic aid agencies to do a long, comprehensive study of their impact on Nepal. Havent been there? Havent done that? Then this survival guides for you.